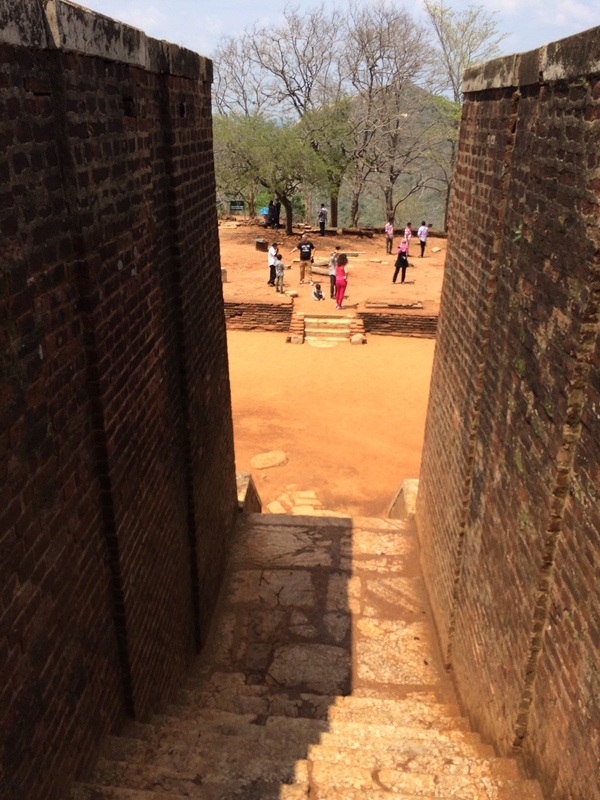 King Kasyapa built his capital in central Sri Lanka on the rock of Sigriya. 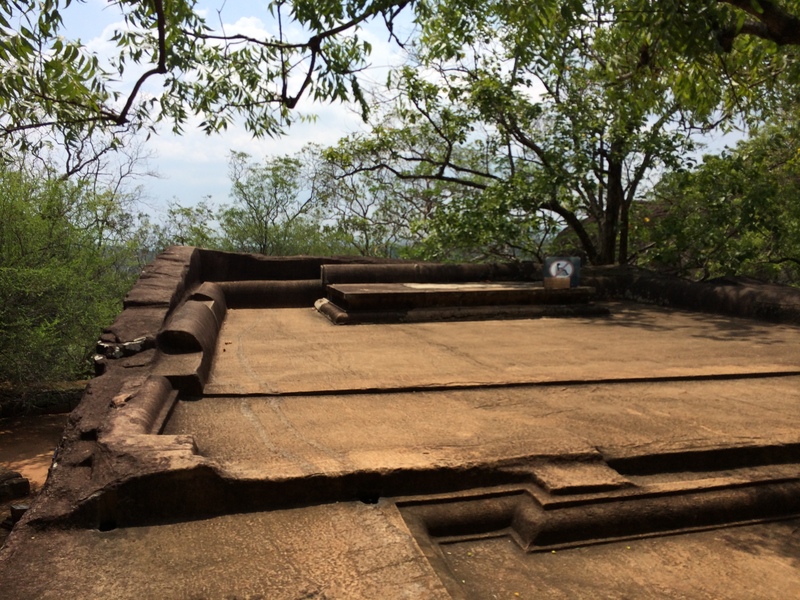 In a rare case of urban planning he used the Sigriya or Lion Rock, measuring a massive 200 metre in height, on top on which he built his palace. The Unesco World Heritage Site is filled with colorful frescos and paintings from the 400 CE. 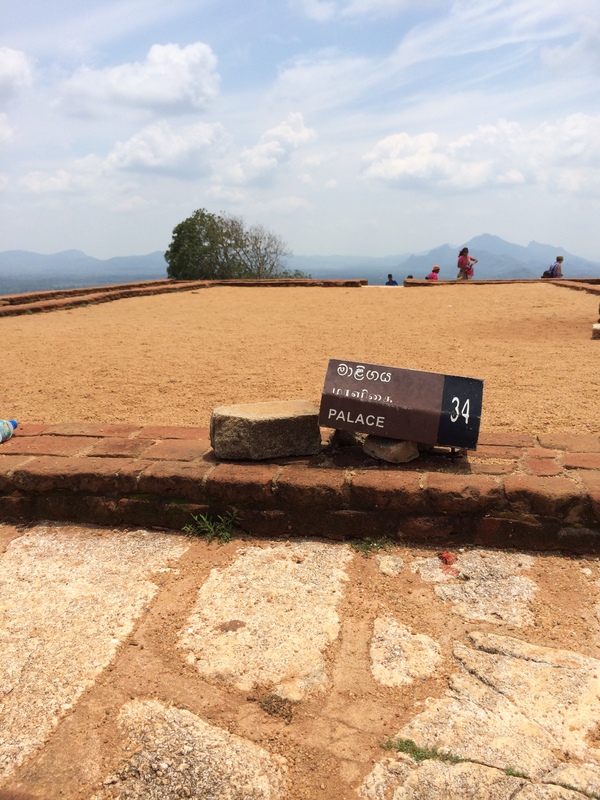 The palace was later used as a Buddhist monastery till the 14th century. The lions paw is mighty impressive, and the climb leads up to panoramic views of the River, through boulder gardens and a vast landscape. The mirror wall is so highly polished so that the King could see himself as he walked along it. Like most national monuments the wall today boasts of undying love with names gaining immortality! 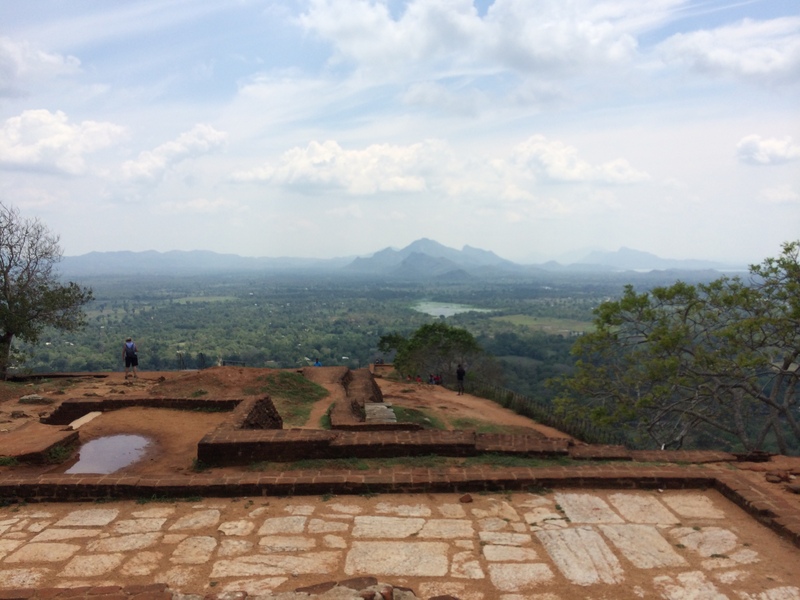 On a bright sunny day we climbed up to the top with other tourists, guides and several local Sinhalese for company. The attached museum to the site provides useful information of the life and the times of the people in the palace and kingdom at large. In a rare case of nature and architecture the rocks are retained mostly, though flattened at the top to house the king’s palatial quarters. The ancient urban planning faces west-wards with axial lines drawn clearly across the site. Though severely hot and humid at the height of 660 ft with no other structure in sight, clear winds are drawn atop the structure that make the ascent and the summit very comfortable. Holding on to dear life while making descent it is only very clear why Sigriya is sometimes called the eighth wonder of the world. Like most monuments, it definitely required much innovation and intelligence to construct and live in thereafter. The advantage over a prospective enemy though is very keenly observed. Like usual, bricks are used extensively for the structure.